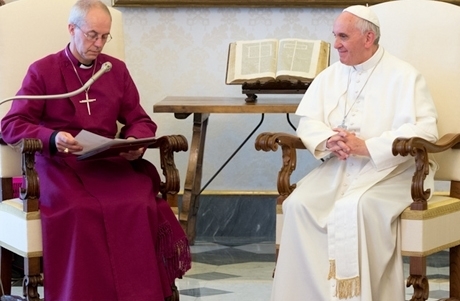 Pope Francis will make a historic visit to an Anglican Church in Rome on Sunday. He’ll join the congregation at the Church of England chaplaincy of All Saints for a short Choral Evensong service; it will include the blessing of a specially commissioned icon and the twinning of All Saints with the Catholic parish of Ognissanti, a Rome church with strong ecumenical ties. The event comes as part of the 200th anniversary celebrations for All Saints which began with a small group of worshippers holding the first Church of England liturgy on October 27th 1816. The current church, close to the Spanish steps, was built over half a century later, designed by one of the most famous British architects of the Victorian era, George Edmund Street. All Saints is the largest Anglican congregation in Italy and part of the [Church of England’s] Diocese in Europe. The church, led by its chaplain, Rev. Jonathan Boardman, and assistant chaplain, Rev. Dana English, was recently granted legal recognition from the Italian State. Diocesan Bishop Robert Innes will be welcoming Pope Francis, together with his suffragan Bishop David Hamid. 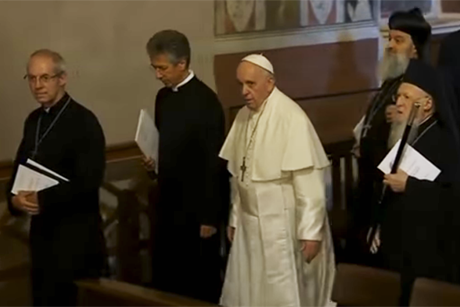 The Archbishop of Canterbury Justin Welby and the Ecumenical Patriarch Bartholomew joined Pope Francis in Assisi yesterday (Tuesday) to lead an assembly of religious leaders in prayers for peace. More than 500 Christian, Jewish, Islamic, Buddhist, Jain, Shinto and Zoroastrian leaders from around the world had gathered in the birthplace of St Francis for the World Day of Prayer for Peace event, which attracted around 12,000 participants. The Pope, Patriarch and Archbishop each gave a meditation on the theme of peace during an ecumenical prayer service to close the three-day prayer gathering, which had been organised by the Community of Sant’Egidio. This week’s event came on the 30th anniversary of the First World Day of Prayer for Peace, which the then-Pope, John Paul II, convened in 1986. The Archbishop of Kampala, Cyprian Kizito Lwanga, together with his counterpart Stanley Ntangali, the Archbishop of the Church of Uganda, on Wednesday, broke the ground for the foundation of the Uganda Martyrs Museum estimated to cost sh36b. 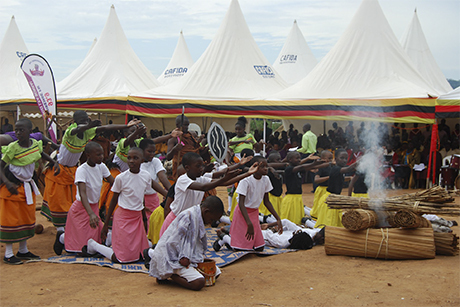 As part of the activities to commemorate the Uganda Martyrs Day due June 3, next week Tuesday, the Christian leaders, accompanied by several other bishops of both the Catholic and Anglican faiths, also paid homage to both the Catholic and Anglican martyrs’ shrines, located in Namugongo. 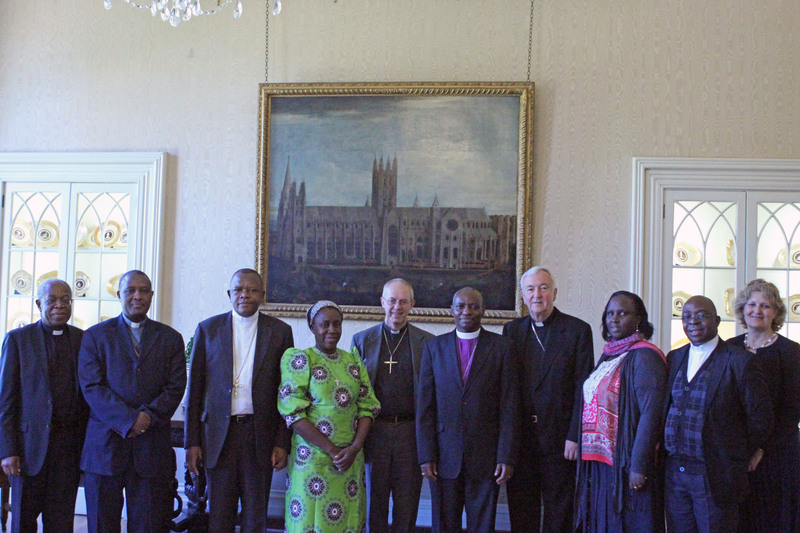 The Archbishop of Canterbury Justin Welby and Cardinal Vincent Nichols met with delegates from the Peace in the Great Lakes campaign at Lambeth Palace last Thursday. The campaign brings together Roman Catholic and Anglican leaders from the Democratic Republic of Congo (DRC), Burundi and Rwanda to encourage a grass-roots movement for peace in the Great Lakes region, which for decades has been affected by political instability and armed conflicts, porous borders and humanitarian crisis, along with tensions over natural resources. 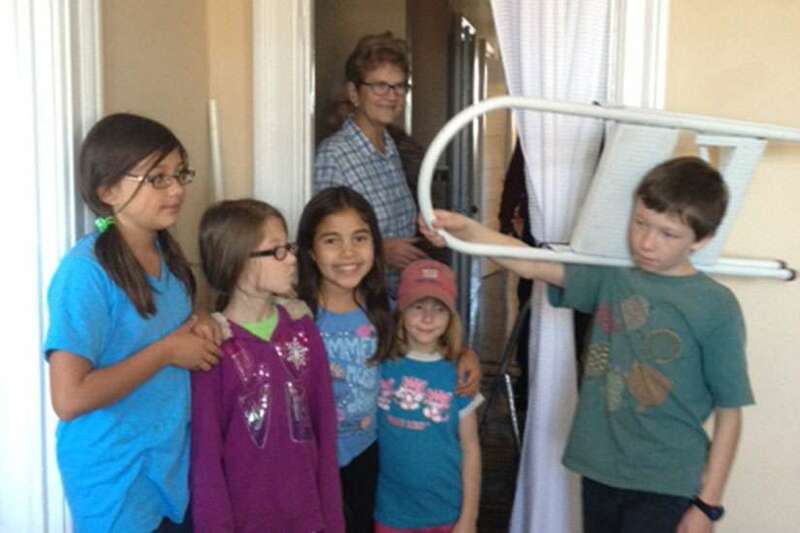 The initiative, which was formally launched in December 2013, reaches out to those most affected by the conflict and longing for peace, including women and girls who have experienced trauma and sexual violence. The Archbishop of Canterbury Justin Welby and Pope Francis have given their backing to a ground-breaking ecumenical initiative to combat modern slavery and human trafficking. The agreement to help eradicate an injustice affecting up to 29 million people was co-signed on March 17th by the Archbishop of Canterbury’s Representative to the Holy See, Archbishop Sir David Moxon; the Chancellor of the Pontifical Academies of Science and Social Science, Bishop Sanchez Sorondo; Dr Mahmoud Azab on behalf of the Grand Imam of Al Azhar, Egypt; and Mr Andrew Forrest, the founder of the large international philanthropic anti-slavery organisation from Perth, Western Australia “Walk Free”. The joint statement by the Global Freedom Network signatories, which underscores the searing personal destructiveness of modern slavery and human trafficking, calls for urgent action by all other Christian churches and global faiths. The Global Freedom Network is an open association and other faith leaders will be invited to join and support the initiative. For the first time in history, Roman Catholics, Anglicans and Muslims have joined forces in a project to “inspire practical and spiritual action” to combat modern slavery and human trafficking. High-level representatives from each faith community were at the Vatican today to sign an agreement launching the Global Freedom Network to help eradicate an injustice that affects up to 27 million people. Pope Francis and Archbishop of Canterbury Justin Welby have personally given their backing to the newly-formed organisation that aims to eradicate slavery by encouraging governments, businesses, and educational and faith institutions to rid their supply chains of slave labour. Their representatives, the Chancellor of the Pontifical Academies of Science and Social Science Monseigner Sanchez Sorondo and the Archbishop of Canterbury’s Representative to the Holy See Archbishop Sir David Moxon, signed the historic agreement at a media conference held in Rome this morning. The Archbishop of Canterbury Justin Welby and Pope Francis have given their backing to a ground-breaking ecumenical initiative to combat modern slavery and human trafficking. 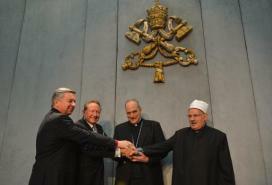 The agreement to help eradicate an injustice affecting up to 29 million people was co-signed on March 17th by the Archbishop of Canterbury’s Representative to the Holy See, Archbishop Sir David Moxon; the Chancellor of the Pontifical Academies of Science and Social Science, Bishop Sanchez Sorondo; Dr Mahmoud Azab on behalf of the Grand Imam of Al Azhar, Egypt; and Mr Andrew Forrest, the founder of the large international philanthropic anti-slavery organisation from Perth, Western Australia “Walk Free”. Pope Benedict XVI and Anglican Archbishop Rowan Williams of Canterbury knelt together before the tomb of an 11th-century Christian king after affirming the need for Catholics and Anglicans to give a united witness to society. St. Edward the Confessor, who is buried in the Anglicans’ Westminster Abbey, reigned five centuries before English Christians became divided. The pope and the primate of the Church of England paid homage together to the Christian king Sept. 17 at the end of an afternoon that included public speeches, a 30-minute private meeting and a joint ecumenical prayer service in Westminster Abbey. Archbishop Williams welcomed Pope Benedict as the first pope ever to visit Westminster Abbey, which was home to a community of Catholic Benedictine monks until 1540 when King Henry VIII dissolved the monastic community. Beginning in the afternoon with a visit to Lambeth Palace, the archbishop’s residence, the pope told Anglican and Catholic bishops that he did not intend to discuss the difficulties the two communities have encountered on the path toward full unity, but rather to recognize the progress made in ecumenical relations and to encourage closer cooperation for the good of British society.